Our wide array of low volume adhesive supply units is sure to meet your low volume hot melt application requirements. 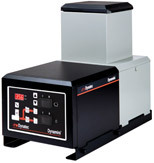 Our Dynamelt M Series hot melt adhesive supply units are computer-controlled and designed based on metric standards. 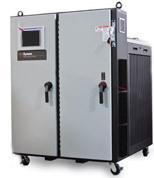 Each M Series hot melt supply unit features a user-friendly intuitive control panel that displays in a variety of languages and provides comparative data of all set points, motors, etc. 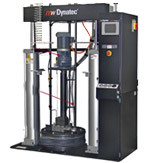 The Dynamelt M series models also feature ITW Dynatec`s patented No-Char, Melt-On-Demand System. 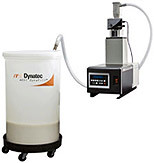 Our DM55 DynaDrum™ Bulk Adhesive Melter delivers an uninterrupted flow of hot melt adhesive for high volume production demands. Daily operations are simplified with standard features, such as field-interchangeable platen faces, a touch screen PLC control panel, self-diagnostics, and low/empty drum indicators. 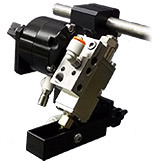 Our BF Series™ Automatic Adhesive Applicators are designed for extended life and consistent and reliable operation and feature many patented features, including self-cleaning nozzles, compact designs, and quick-change capabilities. 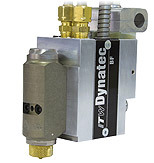 Our manual hot melt applicator from ITW Dynatec® is designed for low volume applications, but easily keeps up with your workflow. Hot melt adhesive systems – feeders automatically transfer hot melt adhesive from a bulk container to the adhesive supply unit increasing productivity and reducing equipment down time by keeping the adhesive supply unit full. 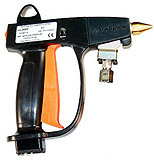 Our array of adhesive delivery systems features solutions for a broad variety of hot melt applications. From cold glue applicator heads to cold glue valves and supply pumps, we have everything you need for your liquid adhesive applications.